Take-away is the best company I've had haul my trash. At least they have more than one truck. Are you kidding Johnson's truck broke down every other week. Switched to Take away months ago and have had no problems. 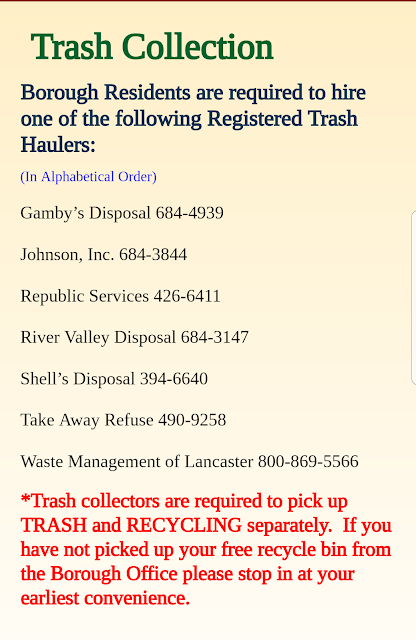 For the best quality service where your trash cans arent broken and thrown down the street pick river valley, excellent service, offers tote and recycle bins,they have multiple trucks, so you get served every week!!!! When will the borough start to prosecute people for putting bags of garbage out. They sent emails out a month or so ago, and people still do not use cans.It is better, but when I take early morning walks, I see bags ripped opened. If you have rules,enforce them. 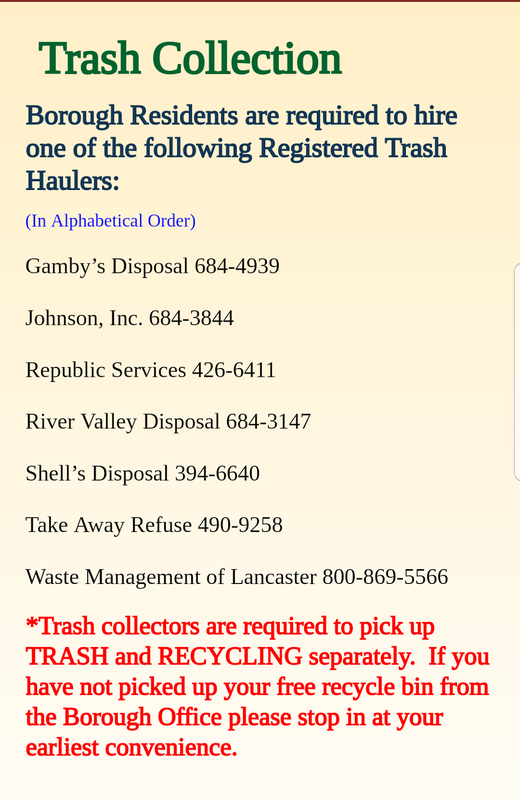 Skip the lids,, start getting the trash piling up in the yards! It's not addressed by codes, we have SAHDS Salvage, we don't need a bunch of pack rats. For 65 or 95 gallon toter service with a company that WILL NOT charge for extra items​, Take Away at 39 N Front St. in the Boro wins.